Shakti Worship is an important aspect of Hinduism. 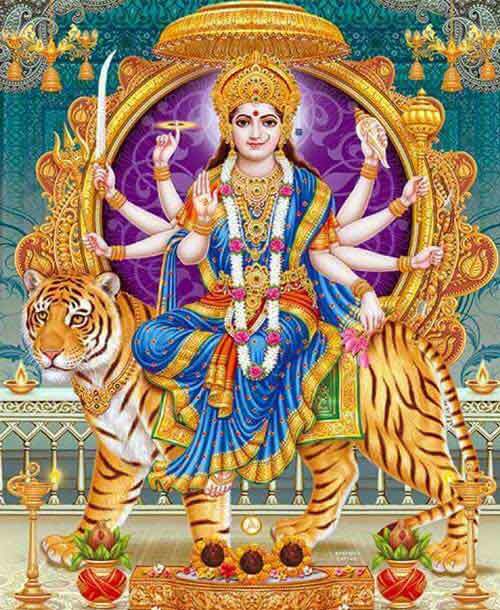 Shakti is Mother Goddess. She is popularly known as Parvati, Kali, Durga, Ambika, Uma, Bhagavati, Amba etc. Shakti is the power or energy – the feminine principle. The term Shakti is from the rook ‘sak,’ which means to have energy to do or to act. Energy is symbolically conceived as the all-pervading Mother Goddess. In tantric Shakta tradition, she is the supreme creator, sustainer and destroyer of the universe. The one who performs Shakti worship is a Shakta. Shakti worshippers are also known as Devi Upasakas and they worship the goddess for wealth, success, moksha or libration, knowledge, and infinite happiness in after life. The roots of Shakti worship can be traced to primitive societies, Indus valley civilization and the Vedic period. Shakti worship spread fast and wide during the period of epics especially the Mahabharata. Stories and symbolism in the Puranas helped Shakti worship reach commoners. Devi Mahatmya section of Markandeya Purana contains the philosophical basis of Shakti worship. Two of the most famous stories that form the basis of Shakti worship are that of Goddess Sati and Goddess Durga as Mahishasuramardini. She is also the consort of Shiva – Purusha the masculine principle. He is accorded a subsidiary position. Adi Shankaracharya installed Sri Chakra in many important temples in India. Sri Chakra is an important aspect of Shakti worship. Stories of Mother Shakti are found in important scriptures in Hinduism. Shakti worship is very popular in Hinduism and the growing popularity of Navratri and Durga Puja testifies it.